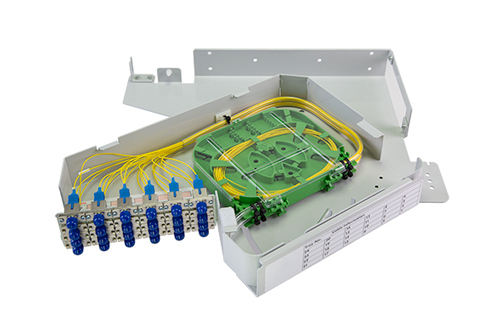 This front mounting Optical Distribution Frame (ODF) comprising multiple 1U Rear Mount Patch Panels, utilising a pivoting tray design, and integral patch cord management. It is ideally suited for 19’’ or ETSI racks with either rear or front fitting mounts. 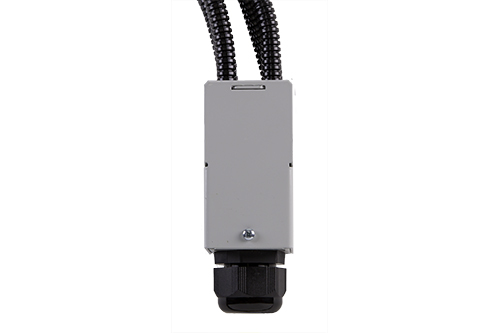 When combined with Cable Break Out units, it provides flexible cabling access. The modular 4u or 6u Optical Sub Racks are an expandable frame concept with integrated cable management to provide a future proof design. Fibres are protected at all times and patch cord routing carefully controlled. 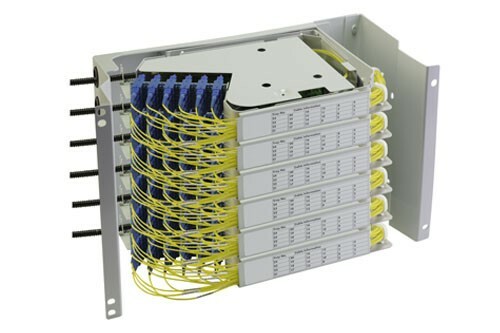 Integrates with Cable Breakout Units of varying capacities, to route fibre tubes from the bottom of the rack to the indi- vidual trays via 10mm diameter conduit.